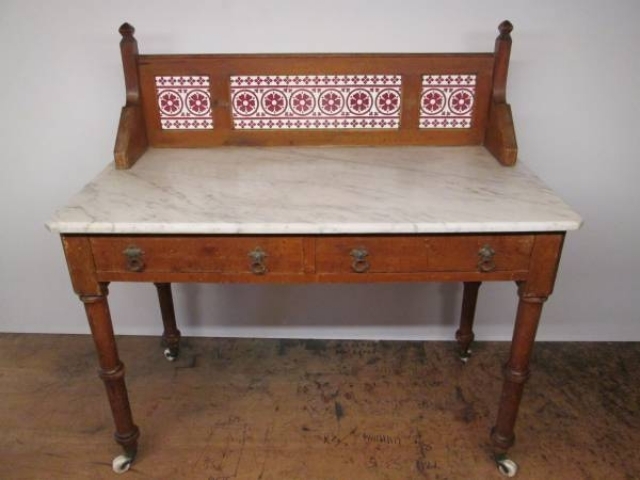 A lovely original pitch pine washstand. Includes the original brass draw handles, brass and ceramic wheel casters, tiled back and unchipped marble worktop. Dimensions – height 107 cms, width 106 cms, depth 53 cms.